Prior to 1939, the Martha Graham dance company no male dancers, Eric Hawkins to join the troupe makes creative direction is changed, this period is also Janet Eyre Admiral to the "right time to change the concept of" period. Martha Graham and Eric Hawkins turned to literature and drama, especially the Bible and Greek mythology, the dance becomes more narrative. But the expressions are not traditional theater-style along Syria, they sometimes let the dancers suddenly stop all actions, time is frozen, there is only one dancer to stand up to show his mental activity at this moment, or the entire dance performance just happen moment where things are no longer being the average time aliquots counts - on the concept of time decomposition and subversion has gradually become a modern literature, art happy to discuss a common theme. 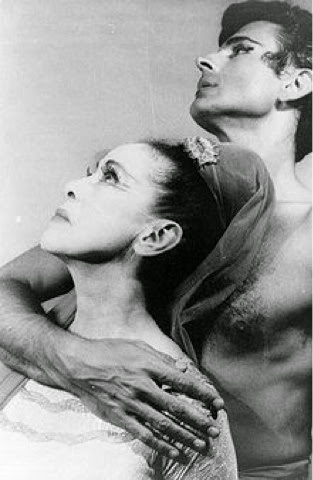 In 1948, Martha Graham and Eric Hawkins married, marriage ultimately unsuccessful.In fact, Eric Hawkins himself is an outstanding choreographer and dance educator, Greece modern dance choreographer Dimitris Papaioannou study dance in New York on the subject of many of his influence. Dimitris Papaioannou dance choreography "Medea" This year has performed at the National Theatre.